Find Heron Bay, GA Condos for sale. View Photos, Maps and MLS Data Now! Links At Heron Bay - Enjoy The Outdoors On The Screened Porch W/A Fireplace Or On The Patio! MLS#6538433. Atlanta Fine Homes Sothebys International. Heron Bay - Terrace Level W/ Sitting Room, Craft Room/Office, Bedroom & Full Bath + Covered Patio. Awesome! MLS#6532191. Atlanta Communities. 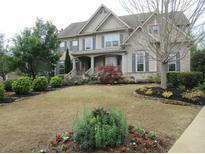 Springs At Heron Bay - Close To The Heart Of Everything Locust Grove And Henry County Has To Offer! MLS#6530048. Mark Spain Real Estate. Links At Heron Bay - Come See This Beauty For Yourself And Let The Decorating Begin! MLS#6525678. Crowe Realty. Heron Bay - Come Tour This Incredible Home In One Of South Atlanta'S Sought-After Communities! MLS#6524901. Keller Williams Realty Atl Part. Huge Master Bedroom And Relaxing Bath Featuring His And Hers Double Sinks. Close To Restaurants And Shopping! MLS#6523217. Mark Spain Real Estate. Secondary Bedrooms, Full Bath, Plus Large Laundry Room And Loft Area. *Stock Photos* MLS#6520355. Dr. Horton Realty Of Georgia, Inc.. Private Owner'S Features A Spa-Like Bath, Plus There Is A Loft That Could Be Optional Bedroom. *Stock Photos* MLS#6519975. Dr. Horton Realty Of Georgia, Inc.. Secondary Bedrooms, Full Bath, Plus Large Laundry Room And Loft Area. *Stock Photos* MLS#6520357. Dr. Horton Realty Of Georgia, Inc.. Secondary Bedrooms, Full Bath, Plus Large Laundry Room And Loft Area. *Stock Photos* MLS#6520345. Dr. Horton Realty Of Georgia, Inc..
Springs At Heron Bay - Full Daylight Basement Just Needs Drywall And Floors! MLS#6520383. Mark Spain Real Estate. Private Owner'S Features A Spa-Like Bath, Plus There Is A Loft That Could Be Optional Bedroom. *Stock Photos* MLS#6519983. Dr. Horton Realty Of Georgia, Inc.. Private Owner'S Features A Spa-Like Bath, Plus There Is A Loft That Could Be Optional Bedroom. *Stock Photos* MLS#6519990. Dr. Horton Realty Of Georgia, Inc..
Upstairs Features Generous Owner'S Suite And A Secondary Living Room Perfect For Entertaining. *Stock Photos* MLS#6520352. Dr. Horton Realty Of Georgia, Inc..
Upstairs Features Generous Owner'S Suite And A Secondary Living Room Perfect For Entertaining. *Stock Photos* MLS#6520318. Dr. Horton Realty Of Georgia, Inc.. Amenities Includes Swimming Pools, Tennis, Playground, Clubhouse With Restaurant, Golf And Much More. Bring Your Buyer Today! MLS#6519690. Trustus Realty, Inc..
Freshly Painted And A New Roof. MLS#6513810. Harry Norman Realtors. 2nd Story Bonus Room Plus Flex Room On The Main. *Stock Photos* MLS#6510074. Dr. Horton Realty Of Georgia, Inc..
2nd Story Bonus Room Plus Flex Room On The Main. *Stock Photos* MLS#6510087. Dr. Horton Realty Of Georgia, Inc..
Plus Spacious Covered Porch Off Of Great Room. *Stock Photos* MLS#6510075. Dr. Horton Realty Of Georgia, Inc..
Plus Spacious Covered Porch Off Of Great Room. *Stock Photos* MLS#6510085. Dr. Horton Realty Of Georgia, Inc.. Private Owner'S With Spa-Like Bath,Lots Of Storage Space, Plus A Covered Porch Perfect For Outdoor Entertaining. *Stock Photos* MLS#6510093. Dr. Horton Realty Of Georgia, Inc.. Private Owner'S With Spa-Like Bath, Lots Of Storage Space, Plus A Covered Porch Perfect For Outdoor Entertaining. *Stock Photos* MLS#6510081. Dr. Horton Realty Of Georgia, Inc..
2nd Story Bonus Room Plus Covered Porch. *Stock Photos* MLS#6510082. Dr. Horton Realty Of Georgia, Inc..
Plus Spacious Covered Porch Off Of Great Room *Stock Photos* MLS#6509584. Dr. Horton Realty Of Georgia, Inc..